I usually have at least one potato in the house. Most often a russet will do but I like to rotate between red, yellow, purple, fingerling- whatever I'm in the mood for and is available at the farmers market. Once fall makes its way around, I tend to trade in my starchy potato for a starchy sweet potato. 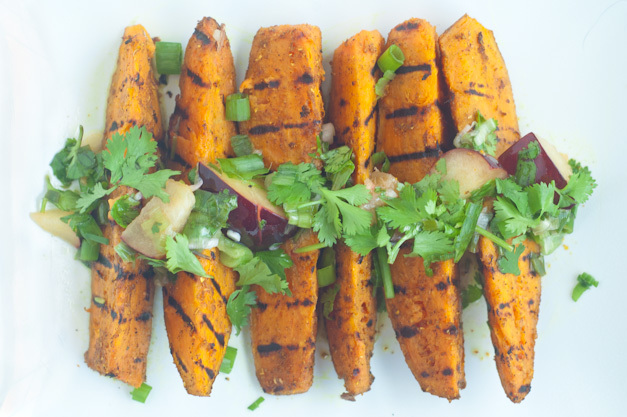 I love them in baked desserts, roasted, twice-baked, grilled... let's just say I'm a big fan of the sweet potato. Boil potatoes for about 5 minutes. 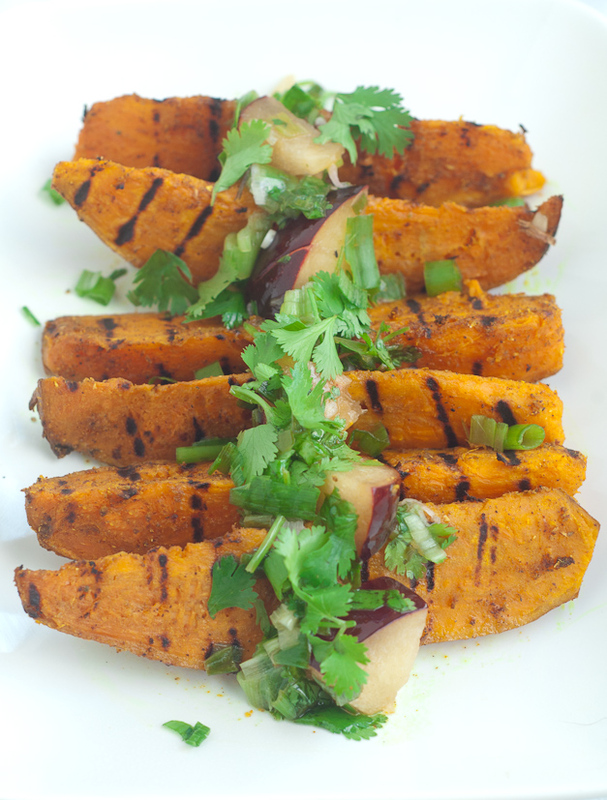 Place wedges on a baking sheet or in a large bowl and toss with oil and spices. Heat grill pan over medium heat. Grill potatoes on all sides until tender- about 2 minutes on each side.